Strength, stability and self-reliance are the building blocks for the Tillamook Habitat for Humanity organization. The goal of providing the community with an affordable housing option is one the program has taken steps in achieving since its inception 15 years ago with their 27—soon to be 28—homes built over that span. 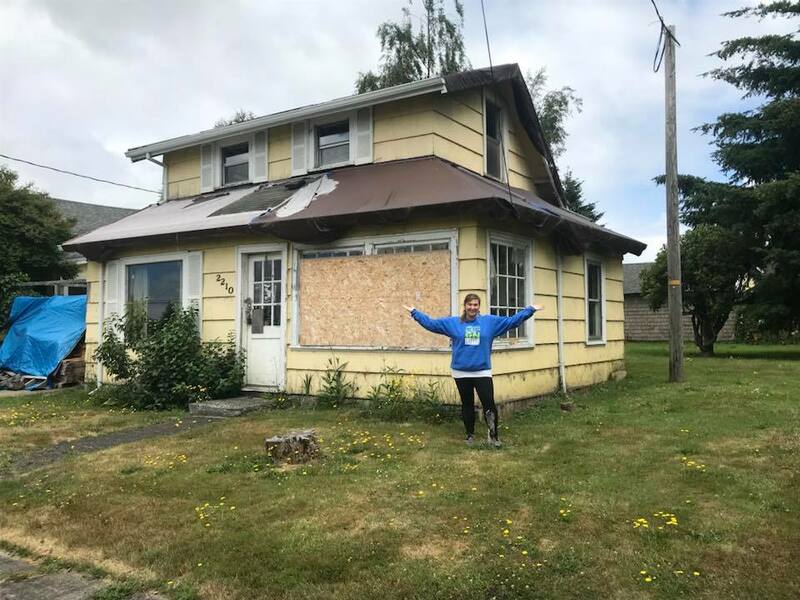 Currently, the Habitat group is working on a home on Miller Avenue in Tillamook, which they have named the “Miller House.” What looked to be a simple project when they acquired the home in 2017, turned into a full-scale remodel after the home was examined. Among the work that has been done so far is replacing and adding all new electrical, plumbing, a new roof and much more. An expensive endeavor in most cases, however, since Habitat was able to do most of the work with the help of volunteers, they were only stuck with the cost of materials, many of which were donated. Most recently, the Miller House received a fresh coat of paint thanks to the volunteers in the Independent Living Program. Habitat volunteers are hard at work to complete the renovations at the Miller House and will soon be ready for the family, which has already been selected, to move in. Habitat’s homeownership program allows qualifying families a chance to purchase an affordable home by paying mortgages set at approximately 30 percent of the homeowner’s income at the time of loan application. “We look at three things specifically when a family is applying for a home; need, ability to pay and willingness to partner,” Aufdermauer said. Applicant families will go through the five-step process created by Habitat if they are looking to buy a home. Step one is initiating the partnership, which includes attending sessions and filling out necessary paperwork. Step two is program acceptance. Step three is a partnership program agreement. Step four is sweat equity and education. Finally, step five is purchasing the home. Once the Miller House is finished, Habitat will be moving onto another project on Eighth Street, where they acquired a piece of property from Wells Fargo. The property is accompanied by a rundown home that Aufdermauer said will be torn down to make way for Tillamook Habitat’s first townhome. Habitat plans to split the lot down the middle so both families can own their side of the property and according to Aufdermauer, they are applying for a grant to structure the property as a community land trust (CLT) model. The CLT will allow homeowners to own the house and not the land underneath. Habitat’s goal is to create a long-term affordability model. Although the designs and plans are in place for the project, Habitat is still looking for a volunteer project manager to oversee the construction. Aufdermauer said she hopes they can begin the project at the beginning of 2019 and they have already selected one family for the house and are reviewing applicants for the other house. For more information on Tillamook Habitat for Humanity home ownership, visit their website at tillamookhabitat.org or visit their Bay City office.